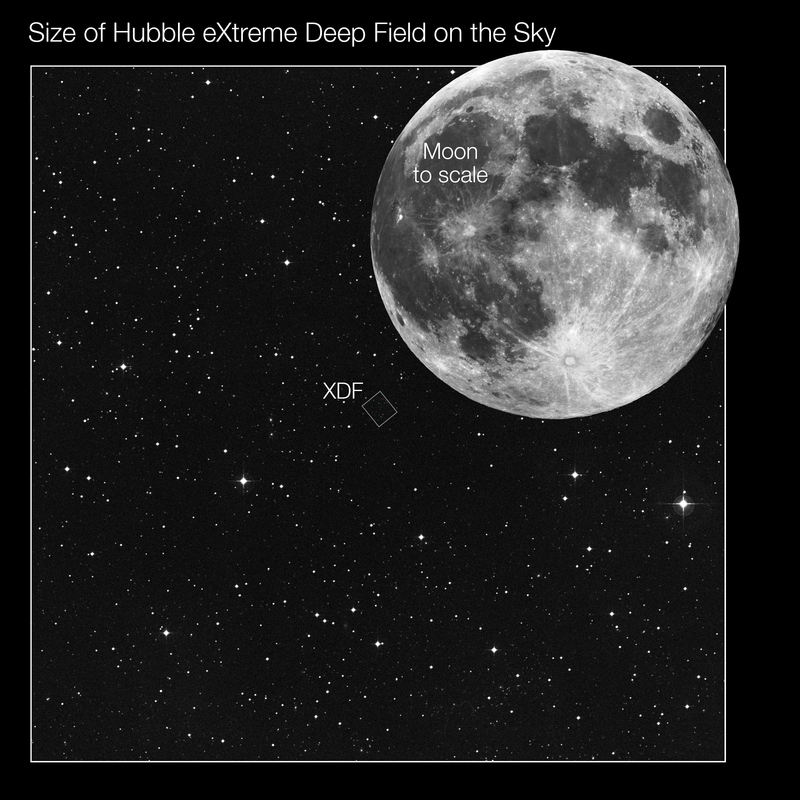 This image from the Digitzed Sky Survey shows the area around the Hubble eXtreme Deep Field (XDF), located in the constellation of Fornax (The Furnace). The full Moon is shown to scale for comparison. Note that the Moon does not actually pass through Fornax.